Anyone else think the titles of these Apes prequels should be retroactively switched? Coming off the heels of the surprisingly excellent flick Rise of the Planet of the Apes, those damn dirty apes are back with another summer blockbuster that’s just as mature, engrossing, emotionally resonant, and visually remarkable. 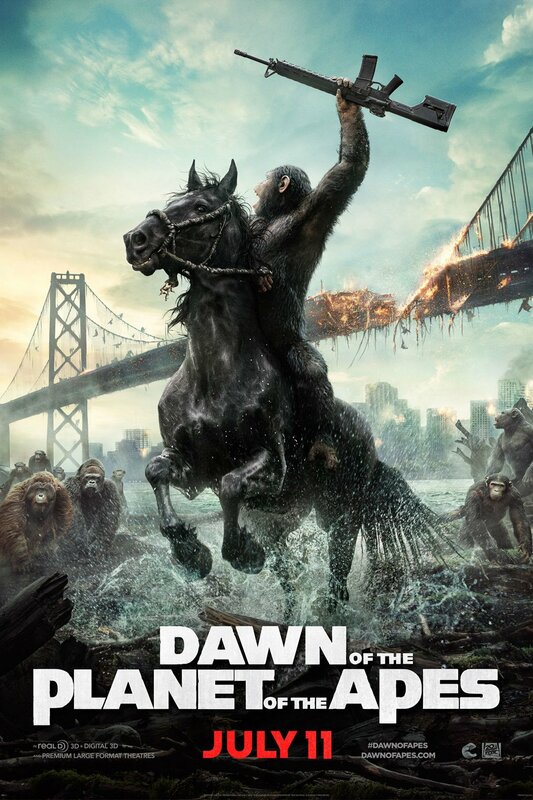 Dawn of the Planet of the Apes takes place ten years after the events of the previous entry, with mankind devastated by the “Simian Flu,” the same bug that has kick-started the evolution of the primates. Caesar (Andy Serkis in motion capture) is leading a fairly conservative life; he has a home, a family, a wife, and a community he’s trying to build. Then a group of humans wander into their territory needing access to the remains of a dam for a power supply. The apes do not trust the humans, but Caesar accepts their terms, looking to avoid war. However, fear, resentment, and hate fester on both sides, and it’s not long before it’s apes vs. humans and you witness one of the greatest things your eyeballs will ever see – an ape firing two machine guns while riding a horse. 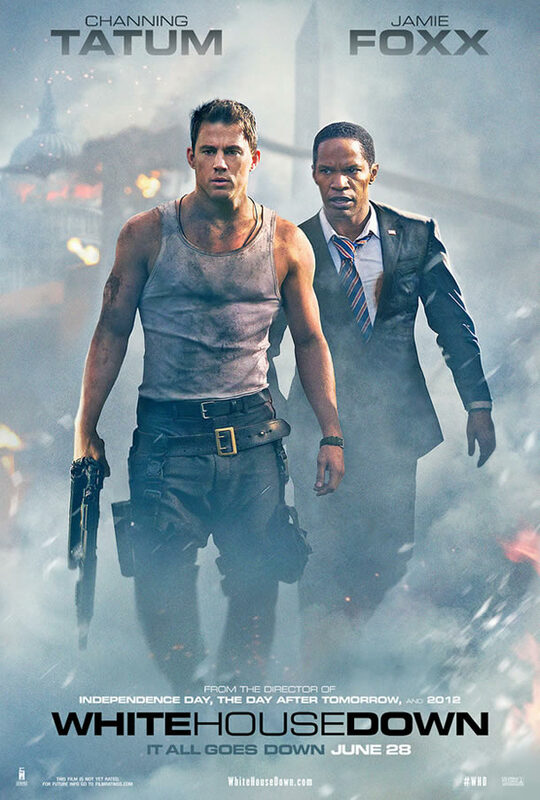 Plot-wise, this film is more a bridge to a larger conflict between the two factions. 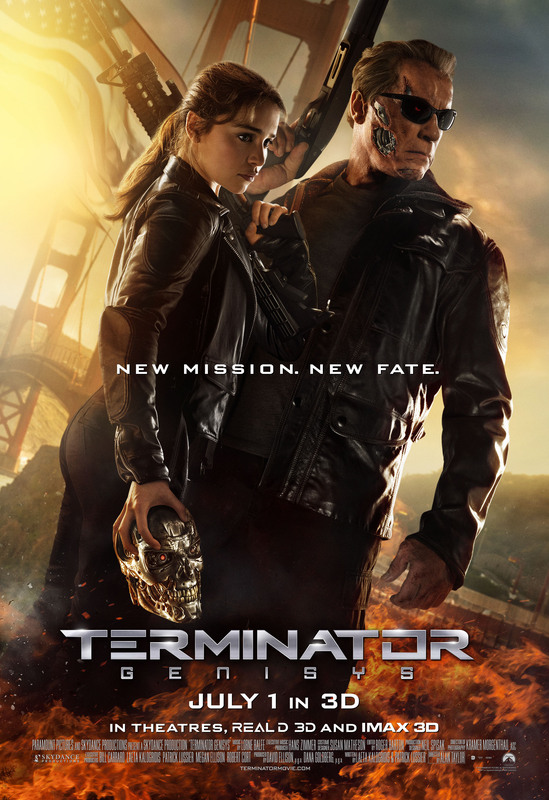 The human characters (including Jason Clarke, Keri Russell, and Gary Oldman) are given short shrift. And that’s fine because the movie belongs to the apes; they are the stars rightfully. Half of this movie is in subtitles for ape sign language. Director Matt Reeves (Let Me In, Cloverfield) dwells in the moments other blockbusters don’t have time for. He lingers in the shadows, with silences, and we slowly integrate into the world of the apes and their own power dynamics. The all-out action of the third act doesn’t feel like a natural fit for the thoughtful movie that has played out until that point. The visual effects are again top-notch and the motion capture tech captures a stunning range of human emotions that you can witness play out across the CGI creations. Toby Kebbell (Wrath of the Titans) portrays Koba, the more hawkish member of the ape tribe, and he is just as good as Serkis, which is saying a lot. 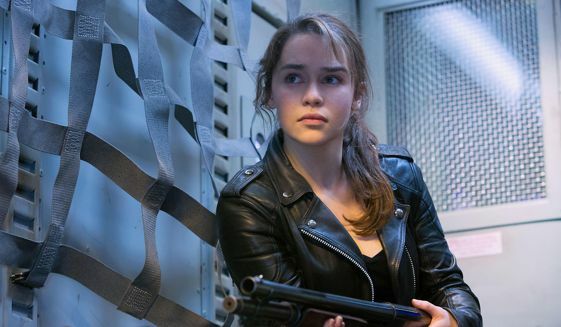 I’d still call Rise a better overall film, but Dawn is a more than worthy follow-up that reminds audiences what great storytelling can achieve with the right people behind the scenes. The bootlegging drama Lawless certainly has all the right elements to be an enjoyable movie. It’s by the men who gave us the great noir-Western The Proposition (director John Hillcoat, writer Nick Cave), it’s got a star-studded cast, plenty of bloody action, and a handsomely recreated production of the Prohibition era. But as I watched the Bondurant boys struggle against those who would like to put them in jail and/or murder them, I kept noticing something odd. I wasn’t that engaged. There was plenty of life-and-death drama, but why wasn’t I involved in the story more? 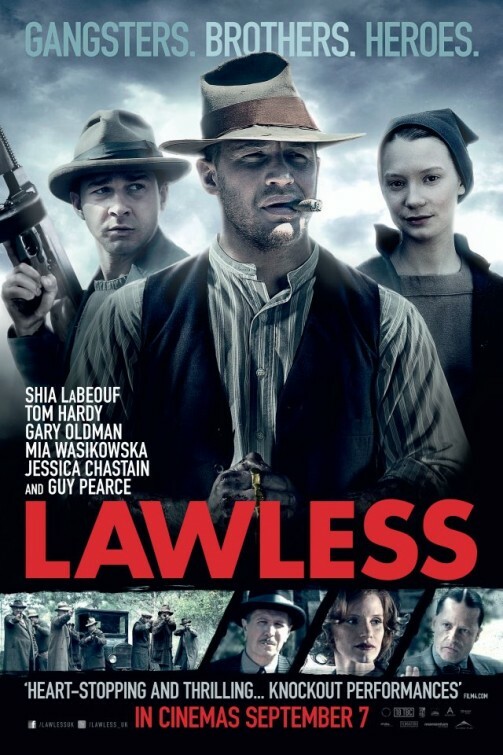 Lawless feels like a series of scenes rather than a movie. Even when the plot changes it doesn’t feel like the movie is advancing. Even when things are more desperate it doesn’t feel like the momentum is building. The characters are somewhat sluggish as well, Shia LaBeouf as the scared youngest brother, Tom Hardy as the grumbly big brother who talks like his mouth is full of molasses. Jessica Chastain as the abused Good Woman who opens herself up to our Strong Hurting Man. Then you got a plot with a mobster (Gary Oldman) that weirdly climaxes with an hour left in the movie. He’s ignored for the remainder. Then there’s Guy Pearce as a colorfully fiendish and foppish special deputy that terrorizes the town. I am a Pearce fan but this guy is acting like he’s in his own weirder personal movie; it’s the kind of stuff Marlon Brando did. I appreciated that Lawless kept things gritty and bloody for realism, but I kept finding moments that ripped me out, namely the indestructible nature of Tom Hardy. 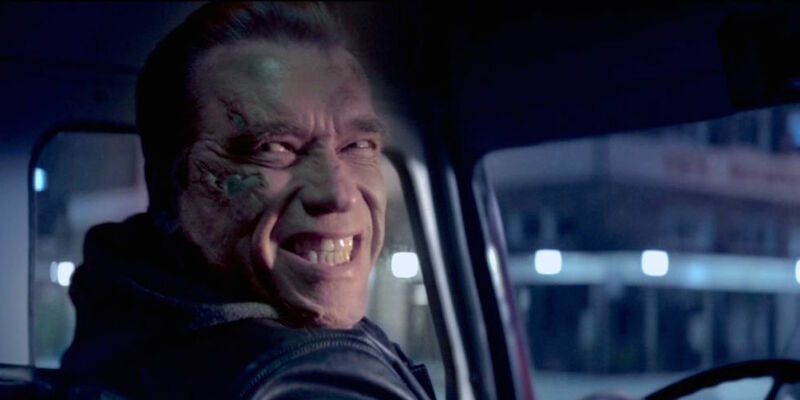 Seriously, this guy has to be the Terminator. When he miraculously survives yet another seemingly fatal injury, all you can do is laugh. Lawless is passable entertainment but with its pedigree this should have been better.